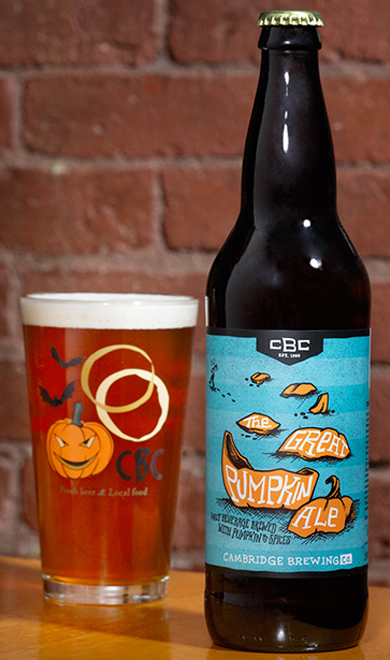 With so many on the market during the fall season, how do you choose the best pumpkin beer? Check out the list below for some of the most unique, flavorful, and just plain enjoyable beers to drink when you want your fill of pumpkin this Autumn. For a truly unique pumpkin beer experience, give this spiced sour ale a try! You can hardly taste the pumpkin at all. The strongest flavors in this beer are cinnamon, ginger, nutmeg, and allspice, along with the tartness of the fermentation. Try this beer when you’ve had your fill of regular pumpkin ales. 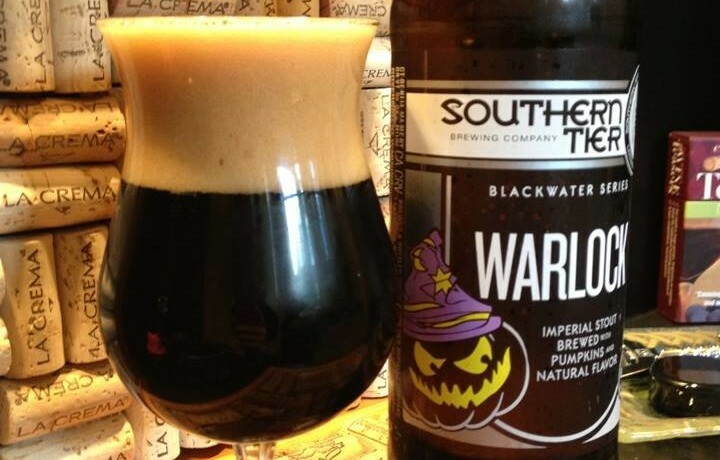 Whether you are a pumpkin fanatic or hesitant to try it, you are sure to love this beer! The flavor of fresh pumpkin is subtle, while your favorite autumn spices steal the show. As they do with all of their beers, this one is made with organic, sustainable, local produce, using pumpkins from nearby farms to make this delicious beer. You won’t be able to get enough of this spooky brew! They take a traditional pumpkin ale and age it in rum barrels to give it a deeper, more complex flavor. This beer features the flavors of pumpkin, spices, vanilla, oak, and a subtle hint of rum. This isn’t your girlfriend’s pumpkin beer! This tasty beer uses roasted local pumpkins, cinnamon, clove, nutmeg, and ginger to give you that delightful flavor of Autumn treats. The French saison yeast and hints of vanilla and honey will shake up your taste buds like no other pumpkin ale you have tasted. You will only need one glass of this spicy and sweet fall brew! This unique beer is a traditional pumpkin ale, but aged in rum barrels to give it hints of oak and sweet molasses. You’ll love the sweet Autumn flavors but be warned: this one is 18% ABV! This smooth amber ale is arguably the best pumpkin beer for easy drinking. With just 5% ABV, you can enjoy it while raking leaves or having your last cookout of the year. This beeris made by adding real pumpkin right in with the mash for the perfect Fall flavor. It tastes malty with hints of allspice, nutmeg, and cinnamon to warm you up. Here is a pumpkin brew that isn’t for the faint of heart. This full-bodied imperial stout is pitch black in color and begs to be drunk from a goblet. The classic pumpkin pie flavor mixes with dark chocolate, coffee, and tons of malt for a strong yet sweet taste. It is surprisingly smooth, so the 10% ABV will hit you in a hurry. This beer has been enjoyed by beer lovers for over a decade and it is easy to see why once you taste it. It is a full-bodied brown ale that is flavored with pumpkin, brown sugar, and sweet spices. Plus the 7% ABV means it will warm you up on those cool late Autumn nights. They brew this one in limited quantities, so try some as soon as you see it in stores! 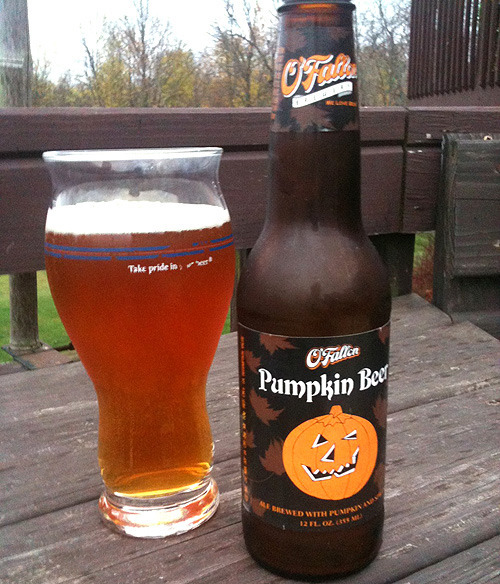 This brew from O’Fallon Brewery tastes like everyone’s favorite Autumn dessert: pumpkin pie! They add 120 pounds of real pumpkin to every batch for an authentic flavor. This beer features the flavors of cinnamon, nutmeg, and cloves along with hints of sweet malt and caramel. This seasonal favorite is sure to become one of your favorite varieties of pumpkin spice beer. It is a golden wheat ale with the subtle flavor of fall spices. 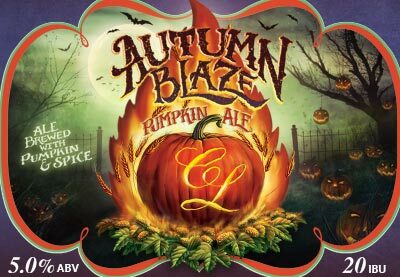 With 4.5% ABV, it is light enough to enjoy a few at a Halloween party or Autumn bonfire. This brewery offers a number of spicy, complex beers for you to try and enjoy. Despite the name, none of their beers actually feature a pumpkin flavor. This is perfect for guys who want to hop on the pumpkin spice bandwagon but don’t actually like the taste of the fruit. Try Fuego del Otoño (aka Autumn Fire) for a spicy sweet brew that tastes just like fall.